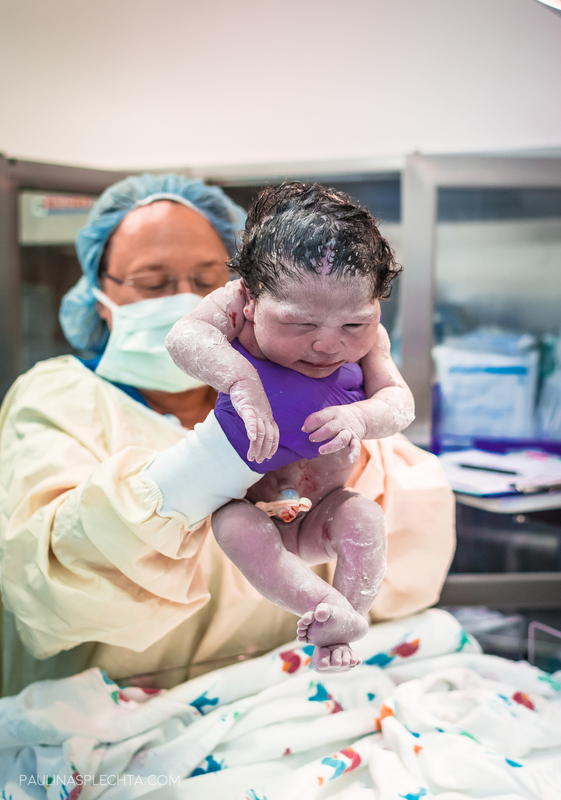 I captured these images of this birth story in the operating room. 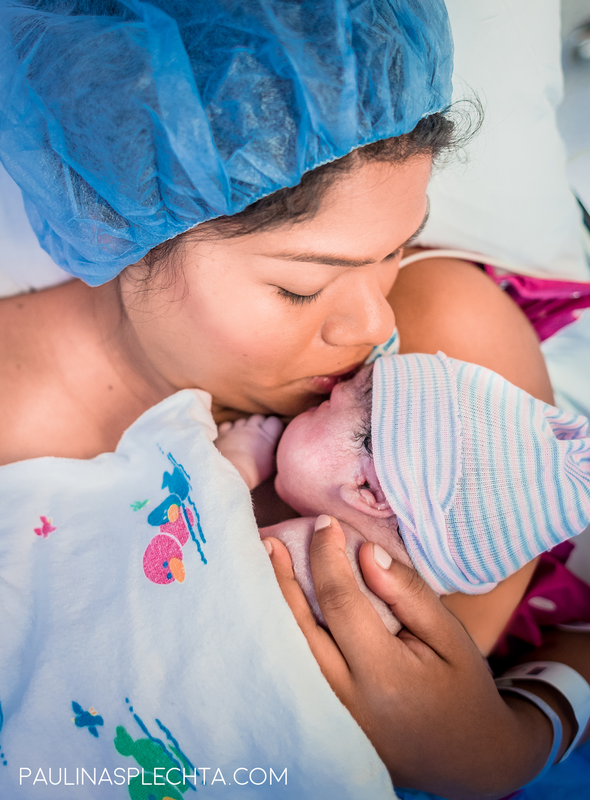 this mama's birth plan was a gentle cesarean. the hospital, mama's birth team (both OBs), and the anesthesiologist were all so kind and compassionate, allowing these parents to invite me into their sacred birthing space, a very sterile, controlled environment. With time, I believe more and more people will start to understand why parents choose to hire a professional birth photographer to document the birth of their child into their arms. It is not for publicity and it is not intended to violate the privacy and sacredness of this moment. it is to immortalize a moment photographically, a moment that can stay with a woman for the rest of her life. a moment where human beings become parents to this little person for the very first time ever. decades of responsibility over a little life await them, along with decades of giggles, love, and the overwhelming feeling of fulfillment. 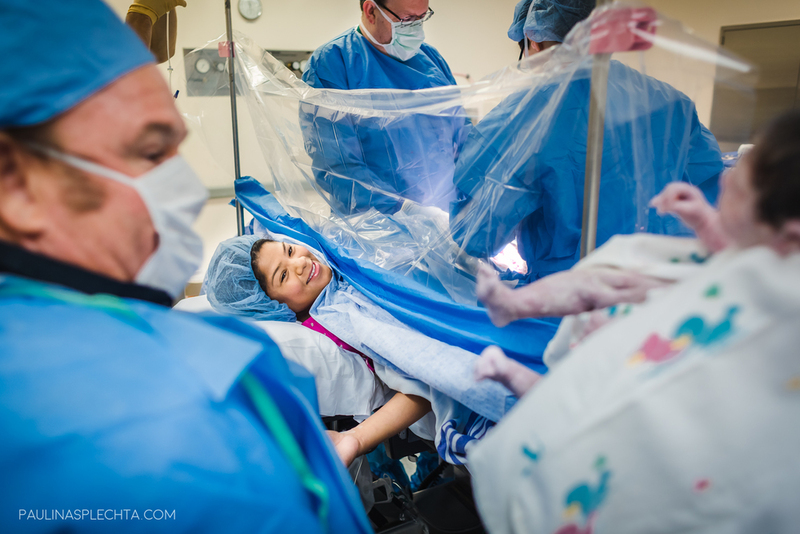 I am a cesarean mama twice myself, but this was my first time being welcomed into the OR to document and see for myself the experience of what a gentle cesarean birth can be like. using a clear drape and immediate skin to skin, this birthing experience can be healing and beautiful for a family who's birthing option/choice is that of a c/section. I am overwhelmingly grateful to this family for trusting in me to allow me to be part of such a momentous private experience with them, and to the hospital staff and mama's medical birth team for trusting me as well. thank you greatly to this family for allowing me to share this photograph from their birth with you all. More mamas NEED to see this. To know that it IS possible to have a beautiful birthing experience in the operating room. It is possible to have a professional birth photographer there to document your experience, we just have to work together to change the world a little bit, to help unravel feelings from everyone involved to see that this powerful moment must be documented for mamas.